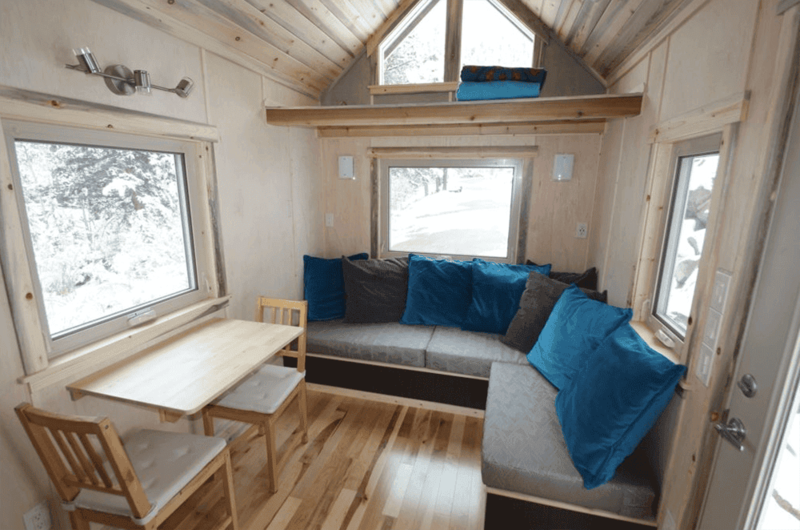 Backed by many accumulated years of tiny house designing and building, TinyHousePlans.com should be the first stop for anyone looking to build their own tiny house. 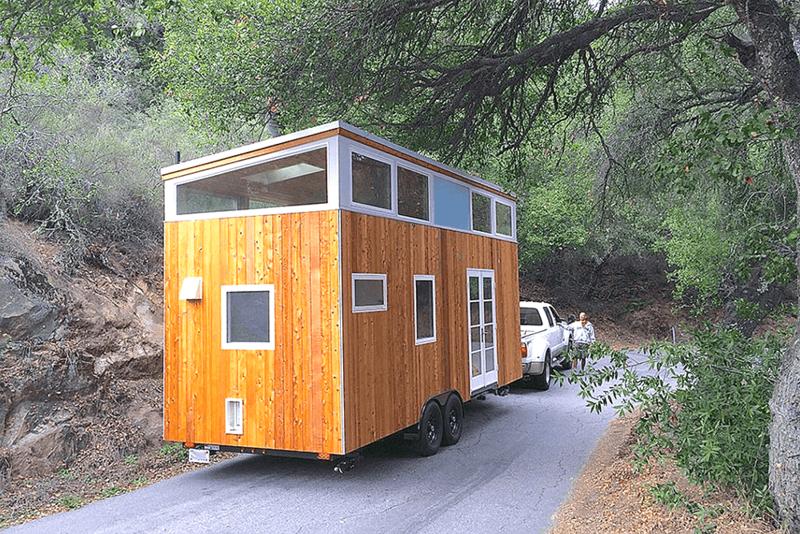 The new website was established by Gabriella and Andrew Morrison and BA Norrgard, all dedicated and well-established tiny house owners and builders who have been in the industry for years. 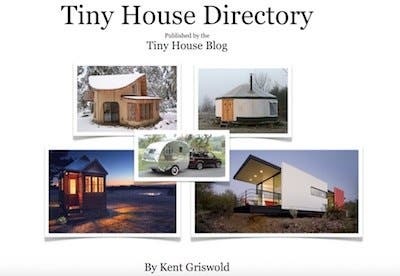 TinyHousePlans.com features plans that have passed strict architectural and safety guidelines. The Morrison’s and Norrgard’s goal with the website is to feature homes and plans that have all passed safety measures and high standards of quality. 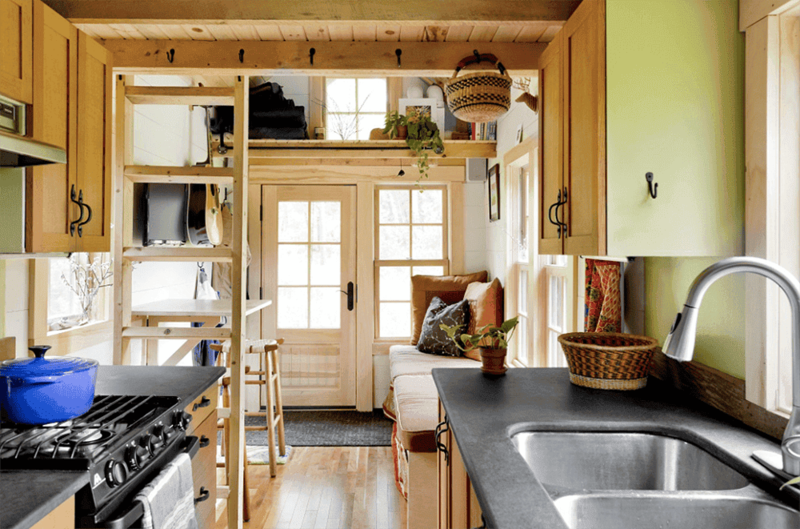 They’ve curated the best designs from designers and builders such as Dee Williams, Dot and Byron Fears of SimBLISSity Tiny Homes, Alek Lisefski and Macy Miller. 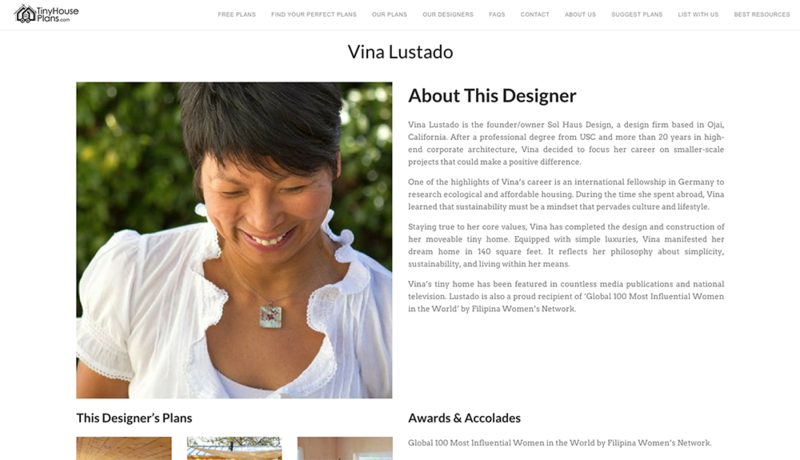 The website also includes bio pages on each of the designers. 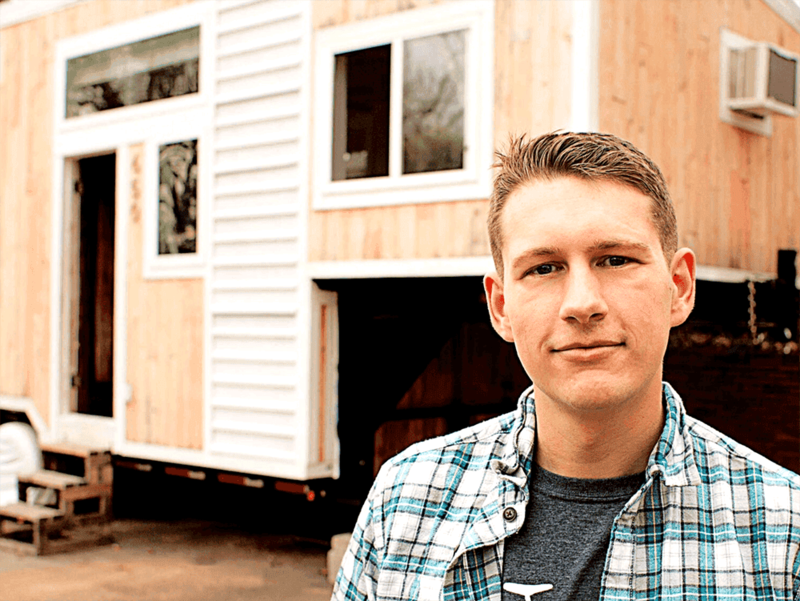 Why did you decide to start Tiny House Plans? What brought you all together for the project? There are so many amazing tiny house designs out there; however, before TinyHousePlans.com came to be, the search for safe and tried/true plans was often tedious, with each set of plans being hosted on individual websites and with no standardized criteria for shoppers to make easy comparisons. By bringing as many sets of plans together as we can, we provide a one-stop experience for people to review, compare, and purchase a set of plans that fits their needs. This service helps people avoid making bad purchasing mistakes, wasting money, and losing hours of their life searching the web. With TinyHousePlans.com, you’ll save time, money, and stress and you’ll get the best design for your needs. What’s more, every design on TinyHousePlans.com is listed at 5 percent LESS than on each individual site, so you’ll know you’re getting the best price possible. The site was established by Gabriella and Andrew Morrison and BA Norrgard. Gabriella and Andrew Morrison came up with the idea for the site and immediately knew that they wanted to pull BA Norrgard into the fun. 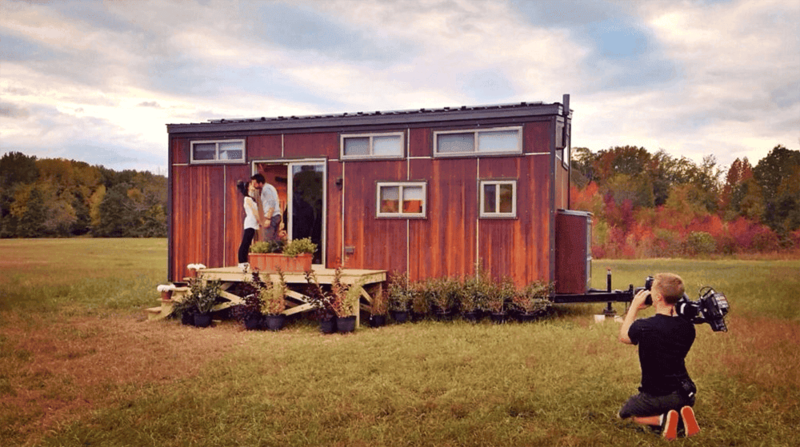 She brings a ton of experience with tiny house designers from all of her work at the Tiny House Jamboree, Earth Day festivals, Meetup Groups and more. 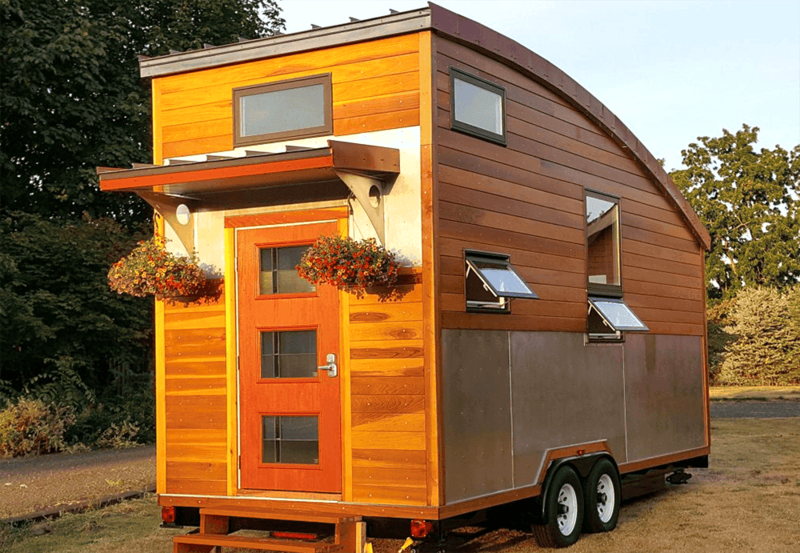 She is totally dialed in to the tiny house community and what the benefits of living tiny are, having done so herself for many years now. Gabriella brings her mastery of marketing and SEO optimization to the mix and Andrew is a master builder with over 21 years of professional construction experience. This combined experience allows the trio to curate new and exciting designs, ensuring they are properly detailed to meet or exceed industry standards, all while making sure they get out in front of the right people. Andrew, Gabriella, and BA have been friends for years, and having the chance to work together has been an extension of that friendship. What do you hope to accomplish with the site? Our biggest goal with TinyHousePlans.com is to fill an obvious hole in the tiny house community: access to a variety of high quality and safe designs. 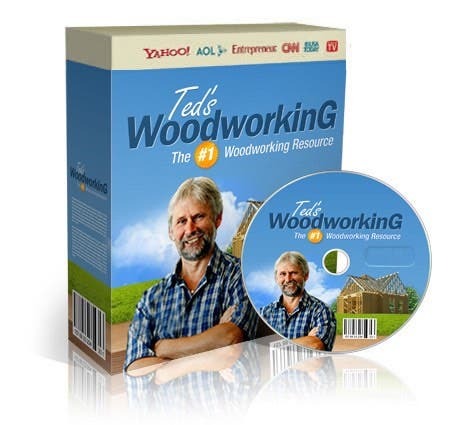 Each month there are thousands and thousands of people searching for tiny house plans on the web and, until now, there hasn’t been an easy way to sift through all the content to find a perfect set of plans. We want to inspire others to build tiny and we want to play matchmaker between the soon-to-be tiny houser and our ever growing group of gorgeous plans. Seeing people step into a reality where there is less material usage, minimal environmental impact, greater financial freedom, less stress and more joy is one of our favorite things! 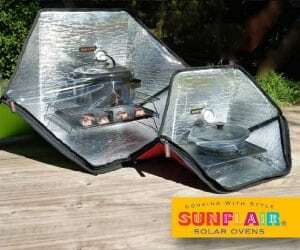 The site offers a search function for everything from lofts and bedrooms to insulation and sustainability features. Describe what makes the site different from others. 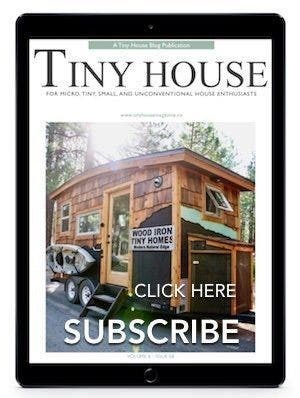 TinyHousePlans.com is the only site on the web devoted to just tiny house plans! Before the site, searches involved not only figuring out who sold plans but also who offered safe plans. We curate all of the submitted plans, making sure they meet our strict guidelines. If they don’t meet or exceed those guidelines, they’re returned for revisions and are not listed on the site until all of those details are taken care of. As a result, our customers can rest assured that the plans they purchase are complete, time tested, safe, and well detailed. 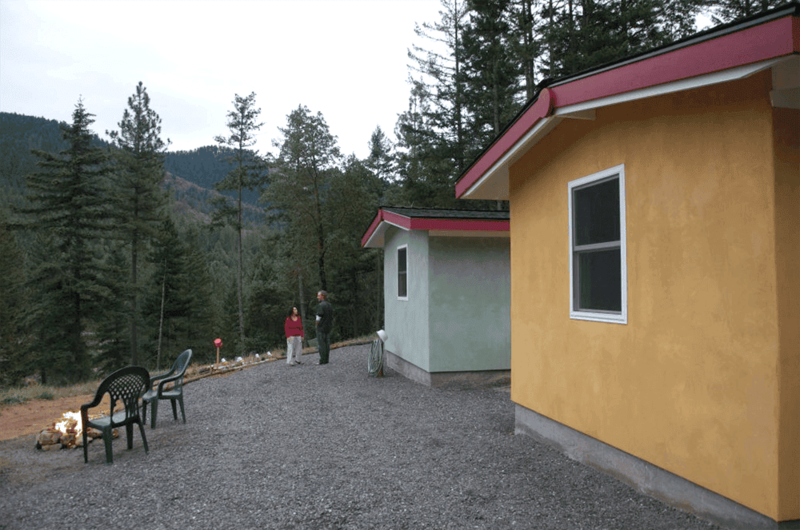 The website also offers plans for tiny straw bale homes. One very important point we want to make is that we sell architectural plans, which are quite different than floor plans, conceptual drawings, etc. In the early stages of one’s design process, it’s fun to look through some of the tiny house books with various floor plans and drawings to gain inspiration, but when it comes time to actually build, you’ll need a set of architectural plans, not just inspiration. Architectural plans, or what we simply call “plans” on the site, truly layout the meat and bones of a structure; allowing you to build a tiny house confidently and knowing that you’re using sound construction techniques. TinyHousePlans.com also accepts approved plans from new designers. Tell us about your current plans and designers. What should a designer do to be included? We currently have 12 different designers and 17 unique tiny house designs. The designers are industry leaders and names that everyone will likely know. Some examples are Macy Miller, Dee Williams, Alek Lisefski, Dot and Byron Fears, Vina Lustado, Ethan Walkman, Derin Williams, Teal Brown, Andrew and Gabriella Morrison, Richard Ward, Patrick Sughrue, and Jon Michael Ahrens. We are always growing our team of designers and the plans we offer. With new, amazing designs hitting the market all the time, we want to make sure that TinyHousePlans.com stays at the forefront, always offering top quality options for our clients. Looking forward through the next six months or so, we will be adding plans for skoolies, tiny houses on foundations (we already have a couple), additional designers, and more. If you’re a designer with a finished set of plans or you’ve built your own tiny house but you don’t have a complete set of architectural plans for it yet but would love to share the vision with others, please get in touch with BA at BA@TinyHousePlans.com. She will get the ball rolling and will give you all the details. If you need to have plans drawn up for your already completed build, BA can put you in touch with a designer we’re working with who can essentially reverse-engineer your build to create a sellable and complete set of plans. We love seeing new designs come in and we love expanding the team, so please get in touch with us soon and get involved! The 24-foot Aspen by SimBLISSity is one of the most popular plans on the website. What are some of the top selling plans? Why? Currently, our two most popular plans are the 24-foot Aspen by SimBLISSity and the 28-foot hOMe by Andrew and Gabriella Morrison. The second part of your question is the hard part. One thing we have learned over the years is that people find inspiration in different places and in different ways. Exactly what drives someone to love one plan over another is personal. For some people, it’s a full size kitchen, while for others it’s ease of towing, etc. The reality is that we never know exactly what will inspire people. This is why our primary goal is to offer as many safe, quality tiny house plans as possible, so that we truly have something for everyone! 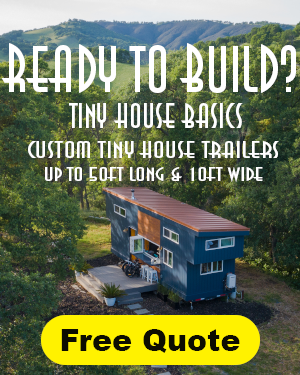 Come on over and visit TinyHousePlans.com and let us know via the Contact Us form which is your favorite…we’d love to hear from you! 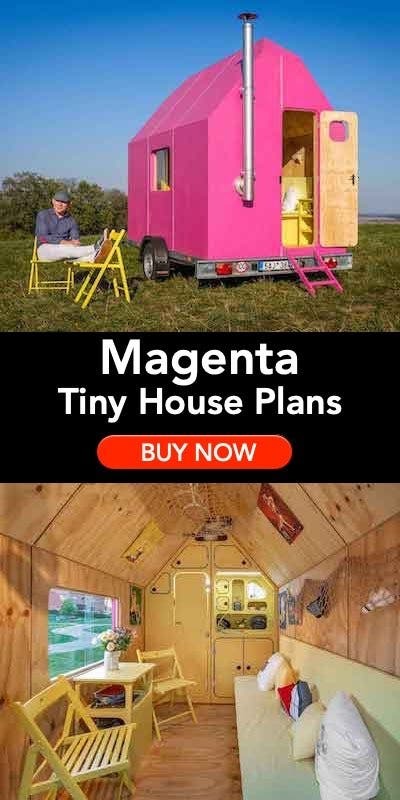 You Have a Microhouse. How About a Microwedding? So You Wanna Go Tiny? Let’s Talk Toilets!